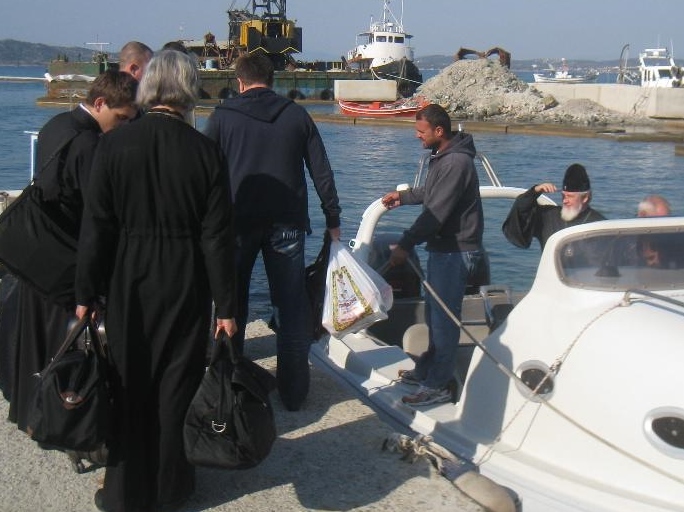 In 2016 the Russians will celebrate the 1000 years presence on Mount Athos. Building and renovation activities are in full progress: Panteleimonos and Bogoroditsa/Xilourgou will regain their old ‘grandeur’, as Patriarch Kirill of Moscow said in 2013. But behind the scenes political games our being played. 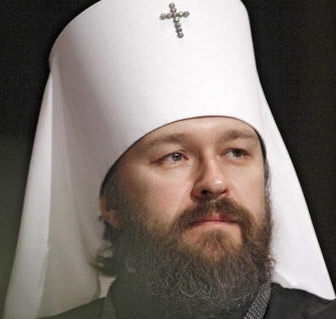 In an article from 31 March 2015 from the German magazine ‘Katholische Nachrichten Agentur’ I read that the responsible man for the celebrations is Metropolitan Hilarion (his picture below). He visited Athos in March and May this year. The Phanar (the Patriarch) of Istanbul is somewhat concerned about the project, because they are not involved in the jubilee plans. The Russian Orthodox church wants to arrange the festivities together with “Hiera Konotis”, the executive committee of Athos. To this purpose on his last visit Hilarion was accompanied by Russian-Greek oligarch Ivan Savvidis, not only a succesfull business man and member of the Doema, but also owner of the soccerclub PAOK – Saloniki. It is said that Vladimir Putin is a close friend of him. 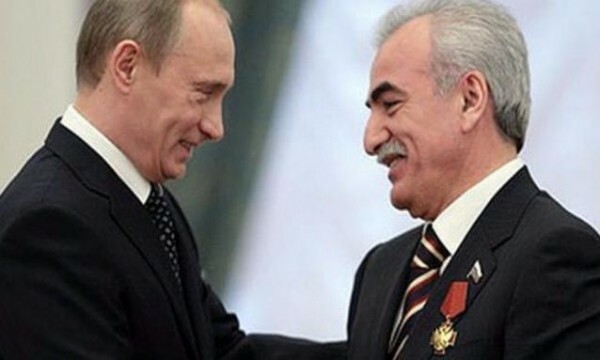 According press releases Savvidis promised each Athos monastery one million euro, to win the co-operation with Moscow. I wonder if this is true and where it might lead to…. Many thanks Jan Paul ten Bruggencate, who send me the German article. Thanks Bosko for your comment: the man on the picture I showed is not Ivan Savvidis, but Vladeta Janković, former Serbian ambassador in UK. I removed the picture 2/7. 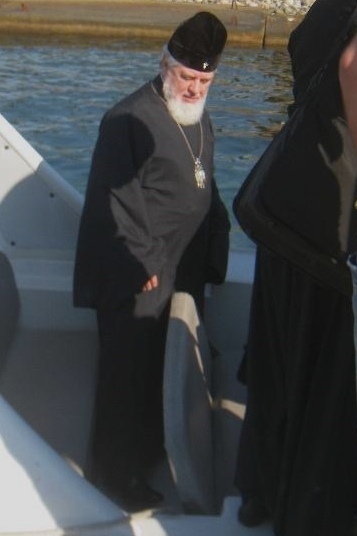 This entry was posted in 19 Panteleimonos, Bogoroditsa/Xylourgou, news and tagged 2016, celebrations, Ivan Savvidis, Metropolitan Hilarion, Patriarch Kirill of Moscow, russians, Vladimir Putin. Bookmark the permalink.